The beat of the drum. The hustle and bustle of a busy marketplace surrounded by crumbling, sand-colored buildings. The crunch of a leaf and the caw of a bird in the distance. It’s morning, and the city of Harambe is awake and alive with energy. Villagers weave in and out of the thatched roof huts found throughout the community. 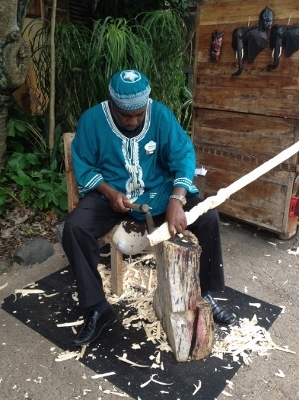 In one corner, a man intricately carves chunks of rough wood into smooth walking sticks. Across the way, those seeking adventure board a safari truck that quickly whisks them off to the savannah to come face-to-face with the animals of the kingdom. Africa, a land in Disney’s Animal Kingdom, breathes life into the rest of the park and is a must stop for those exploring the park. 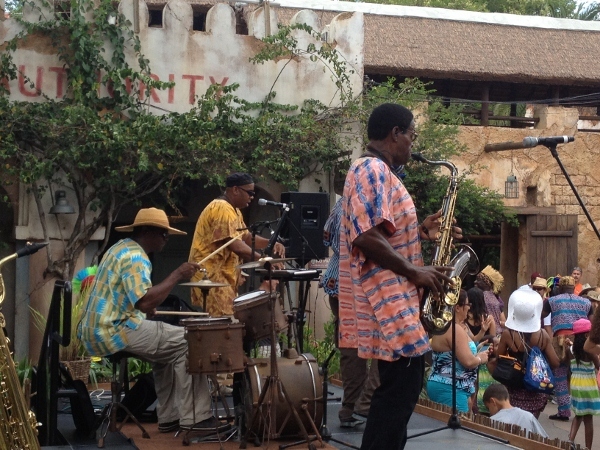 I have to admit, Africa is one of my favorite spots in Disney’s Animal Kingdom. For me, it is perfectly themed and holds many nooks and crannies to explore. Disney Imagineering designed Africa to resemble an East African port that caters to tourists seeking adventure. Restaurants, a busy marketplace, and an outdoor bar and entertainment area caters to those looking for a unique experience. What makes Africa so special though, is how rich the theming truly is in comparison to other areas of the park. 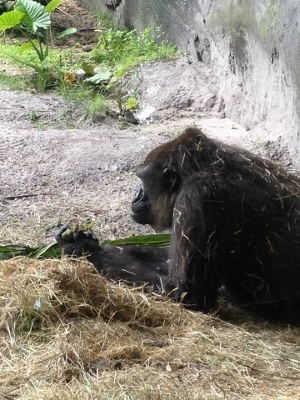 After walking across the Discovery Island bridge, guests find themselves in the middle of Harambe Village in Africa. Immediately ahead, one will notice the 40-foot baobab tree, a traditional icon of the African savannah and all it contains. The tree appears as if it was uprooted and turned upside down. This site draws visitors closer into the village. 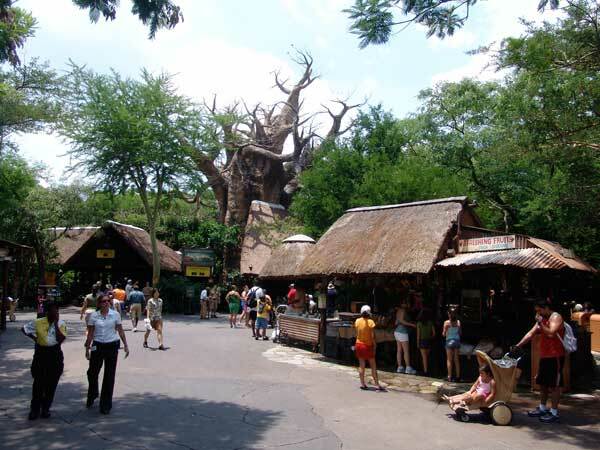 Image: The monstrous baobab tree invites visitors deeper into the African village of Harambe. Towards the center of the village, guests have the opportunity to sing, dance, and celebrate with “local” entertainers dressed in elaborate African costumes. Saxophones, drums, and traditional instruments of the land can be seen while vocalists sing both new and old tunes. Nearby, African games like mancala are played and sweet treats served. At several times during the year, the village even hosts street parties in the late afternoon which include more entertainment and food items to try. 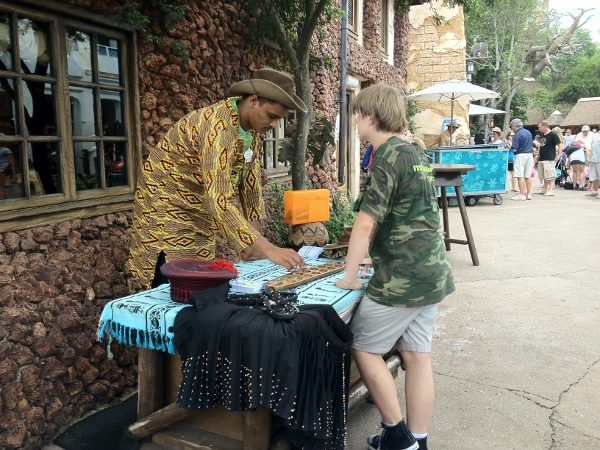 In the marketplace area, guests can find a variety of merchandise to take home as mementos of their journey. Both Disney and non-Disney inspired souvenirs are available. T-shirts, beaded necklaces and bracelets, Safari Mickey plush, and a variety of wooden boxes and trinkets are just a few found on the shelves. 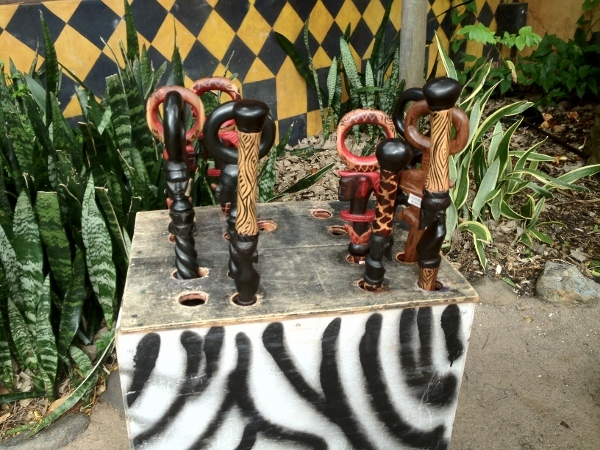 One of the most unique options is elaborate walking sticks that are made right in the middle of the village. 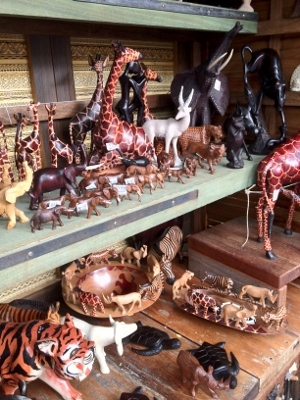 At times, the craftsman also creates wooden animals like giraffes, zebras, and elephants. Others are flown in from other locations around the world. 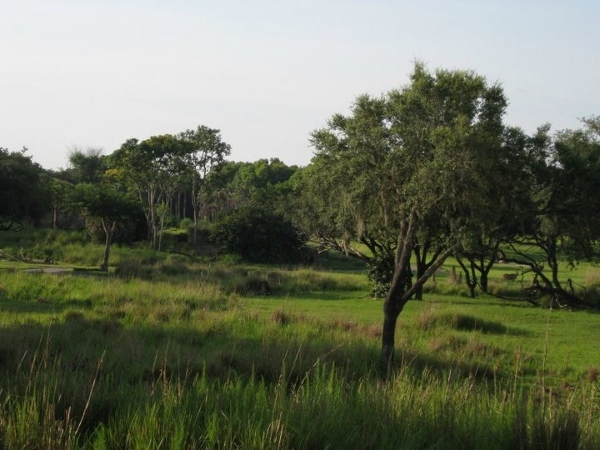 Nearby, safari guides take visitors on a trip to explore over 100 acres of African savannah. 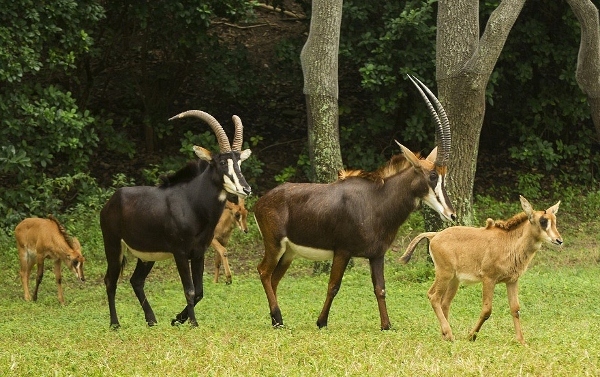 This unique experience is not your typical “visit with the animals” zoo attraction, but instead an up close and personal encounter with more than 34 different species of birds and animals including Kopje lions, cheetahs, ostriches, and the rare okapi. 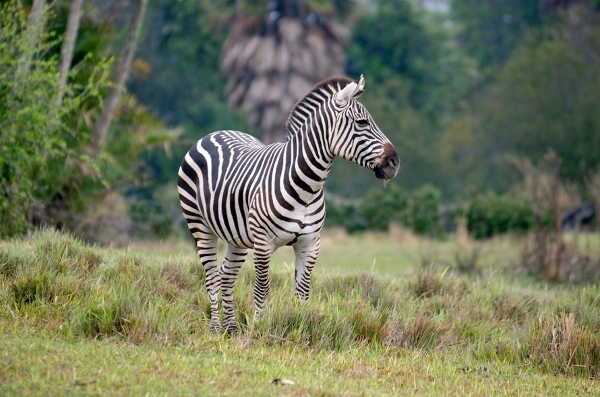 This past summer, Disney Imagineers began expanding the savannah to include a larger area for zebra. This promises to be a welcome addition to the experience. 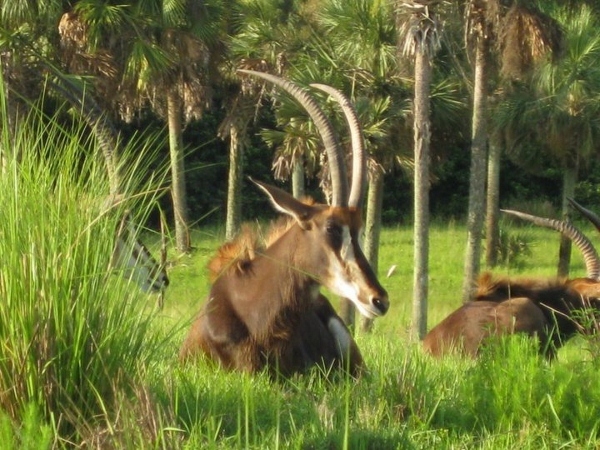 Because of the wide variety of animals and habitats seen, no two rides are the same on Kilimanjaro Safaris which makes the ride that more special. 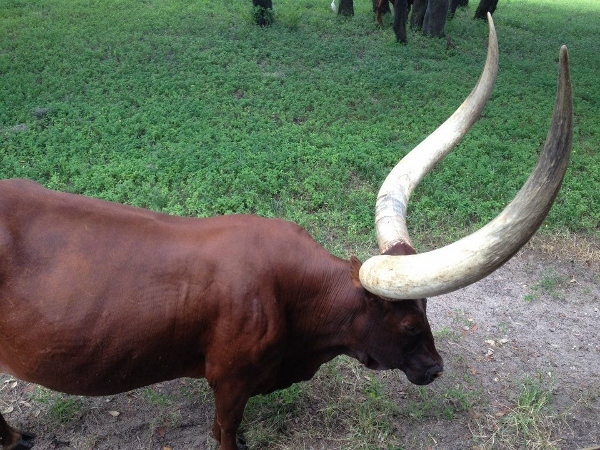 On a recent trip, I saw first hand how “real” things can be in the savannah. Giraffes, rhinos, and kudu paid our vehicle no mind as they crossed in front or walked alongside. At one point, a rhino came prancing around a corner directly in front of our truck. Luckily for us, the driver’s reflexes were sharp and he stopped just in time, but it was clear that even he was a little shaken by the encounter. It just goes to show how unpredictable things can be during the ride. Images: Dozens of species can be found along the adventure. 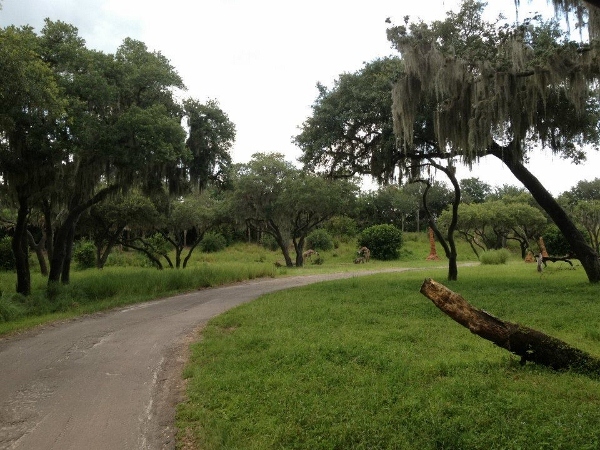 Other than Kilimanjaro Safaris, Africa is also home to the Pangani Forest Exploration Trail. This self-guided walking tour of an enchanting five acre habitat is a wonderful way to spend an afternoon. The trail winds its way through immense vegetation and small huts featuring a variety of exhibits. Along the way, you’ll also meet some humorous and clever friends including naked mole rats, free-flying African birds, black and white Colobus monkeys, hippos, and more. 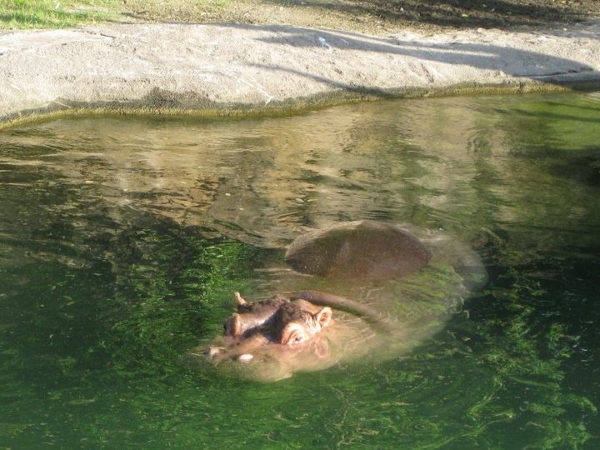 Image: A hippo taking an afternoon swim in Africa. However, for many the most exciting site is that of the Silverback Gorillas. These magnificent creatures frequently plant themselves in front of the floor to ceiling glass viewing windows for guests as if no one is nearby. I have found myself chuckling on quite a few occasions at some of their behaviors, but I’ll let you discover and experience that on your own. 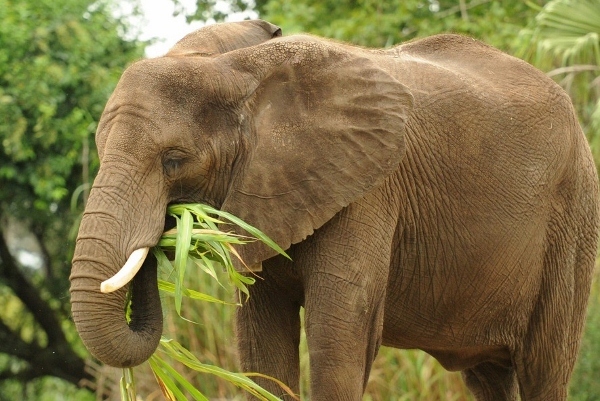 Image: One of the many “stars” of the Pangani Forest Exploration Trail. All in all, Africa in Disney’s Animal Kingdom is a unique place to spend some time during your vacation. I highly recommend blocking out a period that allows you to roam freely without worrying to get to another location. The park was meant to be enjoyed slowly and casually, not like your typical commando tour of Magic Kingdom or Epcot. And, while you’re there, take time to “Harambe,” which means “come together” in Swahilli, for this truly is a unique adventure for the whole family.